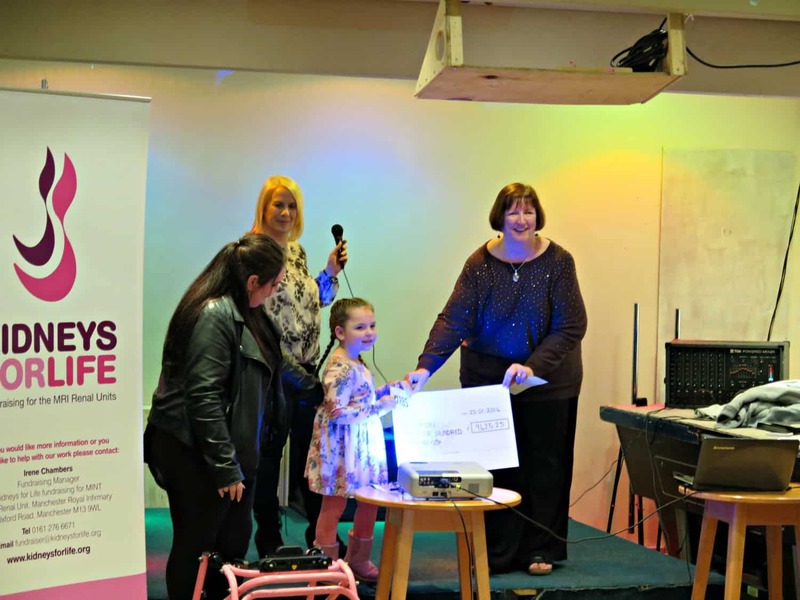 Ally Sherrington presented the Fundraising Team of Millie-Mae, Amee Burgess, Mark Greenwood, Lee Alcock, Beverley Knight, Sharon McDonald a gift for all their efforts last year in raising funds for Kidneys for Life and Bridgewater Primary School. Over £17k was raised last year £4,668.08 by Bridgewater Primary School and £12,567.00 by the team. Giving a grand total of £17,235.08, which is being split 75% for Kidneys for Life and 25% for the School. Again well done to everyone. A superb effort by all, including family, friends, bag packers and all those unseen in the background helping the team.